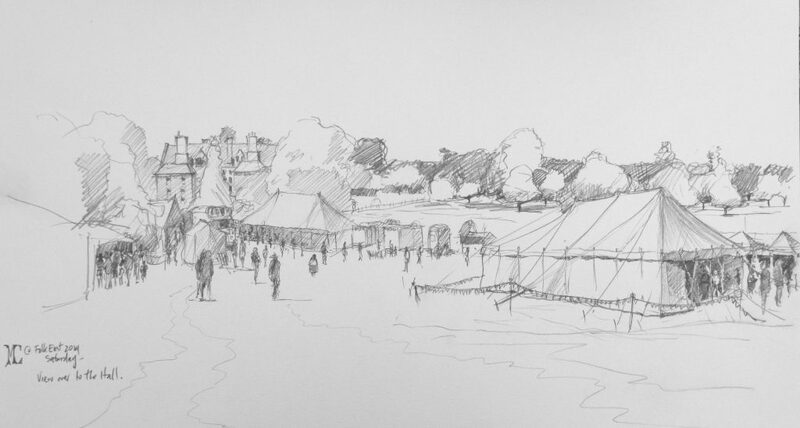 Calling all budding sketchers, draw’rers, artists of all ages, to take part in the FolkEast 2018 Big Draw. Malcolm Cudmore our resident on site artist is running a competition. The Prize? Tickets to FolkEast 2019. On Sunday your work will be exhibited in the Art Gallery and the judging will take place in the afternoon. Please drop into the Art Arcade to find out more!